Living in NYC means finite space. Cohabitating in 900 or so square feet with a wife, an oversized cat and more than a handful of bikes means we spend a lot of time getting in each others way. 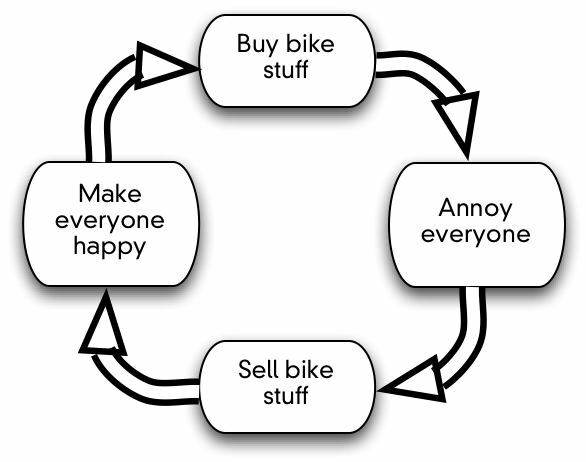 Which means that if I want to continue getting cool bike stuff, I have to purge things every once in a while. I'd make some quip about it being part of the cycle of life, but I avoid bad puns as much as possible. The real punchline here is, sometimes you have to get rid of some things in order to get others. Since I have a whole lot of spares and duplicates in the collection, I figured I'd put some of it on eBay. Little bit of Campy, some Mavic, and Shimano thrown in for good measure. Check out my listings! I'll be listing more, so keep checking in -- maybe that hard to find part will show up!